Host Charity Nebbe speaks with Kari Byron, Donald Lewis, and Kelly Gillbeau. Heartening news out of Mexico this week: monarch butterfly populations at the southern end of their migration pattern are up from last year. They covered 10 acres of land, more than five times larger than their all-time population low in 2013. There’s still room for improvement—in 1996, they covered 45 acres. Donald Lewis, Iowa State University extension entomologist, says this news, while good, doesn’t mean the problem is solved. One action item is the planting of milkweed, the only plant where monarch butterflies will lay their eggs. But Lewis says that solution comes with perception problems of its own. Iowa has a strong history of loving, and protecting, the Monarch. Now that tradition is continuing with Kelly Gilbeau, the co-founder of the RAGBRAI group Milkweed Matters. Gilbeau started tossing milkweed seeds along her RAGBRAI route with one friend last spring. They’re planning to throw nearly 70,000 seeds this year. 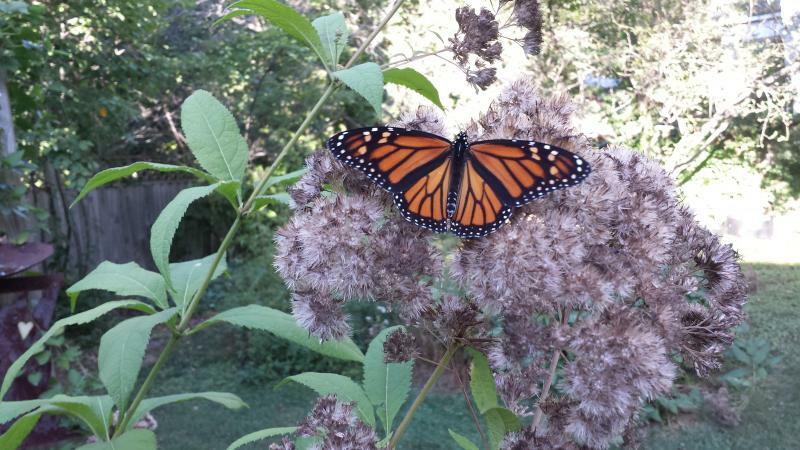 On this hour of Talk of Iowa, host Charity Nebbe talks with Lewis and Gilbeau about Monarchs. Also in this program, a conversation with Kari Byron, host of the Travel Channel’s Thrill Factor. A flock of monarch butterflies gathering together for the migration south can be a truly magical sight, but it's a sight that has become less and less common in Iowa. 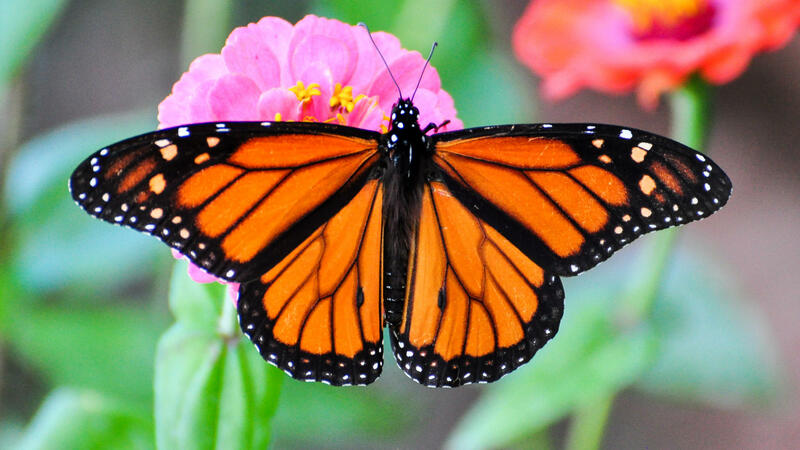 This hour, host Charity Nebbe finds out what has happened to those beautiful flocks on Monarch Butterflies. We talk about the pressures that have resulted in the smallest population of Monarchs ever recorded. Today's guests include: Iowa State University Extension entomologist, Donald Lewis, and Iowa State University Extension horticulturist, Richard Jauron.